While I agree with OP that it’d be nice to have a RAAT-compatible, certified, non-diy or completely dreadful supercheap streaming box, what he seems to be looking for unfortunately appears to be an imaginary point on the time investement, money, quality nexus as of right now. depending on whether you want an SPDIF endpoint or a DAC. 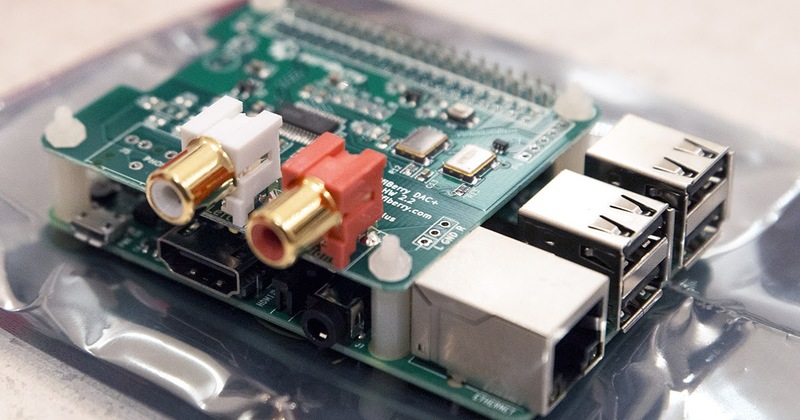 Hifiberry have a ready to use Roon image, which will spare you setting up dietpi or the like. Can’t make the learning curve much shorter than that. Simply copy the image to a micro SD card and plugin the whole thing. Does up to 24/192kHz PCM. You dont have to use an Apple device to use AirPlay. It is just another streaming technology and Roon supports it natively. There are hundreds of AirPlay endpoints that have nothing whatever to do with Apple. And as @philr points out, they range from the most basic of entry-level speakers right up to pretty expensive AVRs etc. You clearly haven’t read further up, I live in Canada, so anything costs roughly 15-25% more. While I am technically able to build my own 8 cylinder engine or a beast of a video editing machine without issue, I am speaking up for the guy who works 70+ hrs a week (which I do) and doesn’t have the technical knowledge to put something together without help. I live in Canada, so anything costs roughly 15-25% more. Anyway, pi + case + psu + roon certified HAT (the hifiberry one) is CAD 140 with taxes and shipping where you’re at. That’s 105 in non-monopoly bills, which likely isn’t what you’d get from Anker, but not horrible either for something that’s rather solid, SQ-wise. I am speaking up for the guy who works 70+ hrs a week (which I do) and doesn’t have the technical knowledge to put something together without help. Completely agreed, as i’ve said multiple times. It’s probably something that could get an interim fix with an Amazon shopping link, of the same type Roonlabs has for ROCK builds, but the process is still dead simple (though I completely understand why someone wouldn’t want to deal with it, and, once again, absolutely agree with you that no one should have to deal with it). I can think of a hundred reasons, why none of these suggestions will work, if one does not want them to work. As it looks, even a Chromecast limited to 48kHz does not fit the bill. Why not? Is setting the samplerate limit in Roon to cumbersome? doesn’t have the technical knowledge to put something together without help. Wouldn’t that be what a Chromecast-inside speaker would be for? You just put it on your network and it becomes a Roon endpoint. Or an Airplay speaker, as suggested by others. Seem to be lots of price points reachable via off-the-shelf solutions. Agree. A CCA set to downsamplw to 48k (or even 88.2k) would work absolutely fine. Cheap as chips too! An Asus Vivobook E12 running a Roon bridge and a Schiit modi Uber or Dragonfly black. I got the Asus on sale for $120 so you can get a good endpoint with AC Wifi for close to $250.